MOVO® Digital Prepaid Visa® Card is free and doesn’t require service charges, registration fee or payments for domestic purchases. 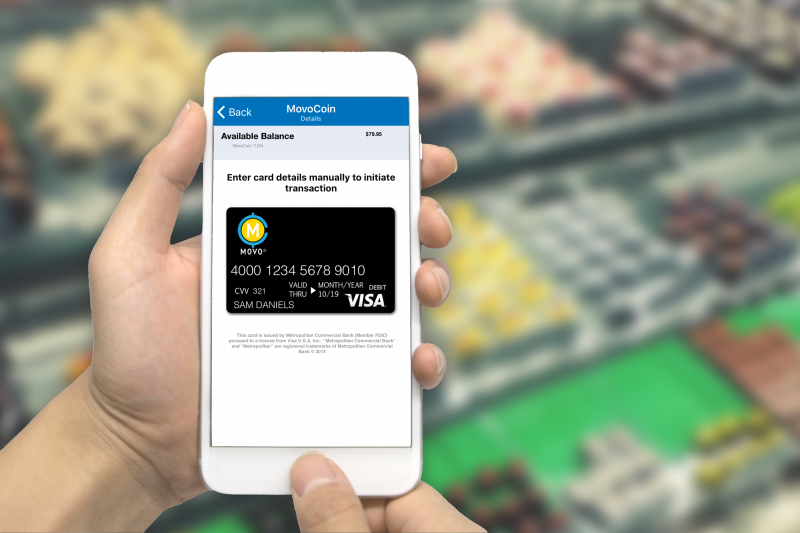 All incoming and outgoing transactions are free, and the cards are generated when there is a need for a purchase with an aid of MovoCoin®. MOVO® Digital Prepaid Visa® Card works with popular currencies including their own product, MovoCoin, nevertheless, Bank-to-card transfer is time-consuming and may take over 5 business days, the amounts for family or friends can also be sent through social media, such as Facebook. MOVO® Digital Prepaid Visa® Card provides safety to its holders, using the detailed process of verification, where the consumers need to verify their bank account details to authorize the transaction. The system also requires an email and a correct mobile phone number before the money can be transferred to another account. Maximum balance of MOVO® Digital Prepaid Visa® Card can reach 4,000 USD that can be reloaded after spending, as an addition to a plastic Visa card. Adding money to the virtual card costs consumers 2.9%+0.30 per transaction. The cash back for MOVO® Digital Prepaid Visa® Card depends on the primary virtual or physical card launcher and, therefore, is unclear. Nevertheless, most of transactions are free, which can make it attractive for consumers.